10 Gigabit Ethernet IEEE 802.3 is the standard specifying 10 Gb/s transmission for single-mode fiber or 50 μm multi-mode fiber. AWG（American Wire Gauge）is a standard system for designation wirediameter; also referred to as the Brown andSharpe (B&S) wire gauge. Acceptance Angle, largest possible angle for launching light into anoptical fiber; this angle is used to determine thenumerical aperture (NA) of a fiber. Access Connection is a physical connection at a central office connecting a local channel to an interoffice channel. Adapter is a mechanical media termination device designed to align and join fiber optic connectors; often referred to as a coupling bulkhead or interconnect sleeve. 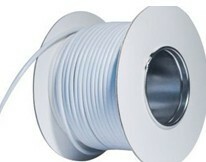 Aerial cable is a kind of telecommunication cable which installed on aerial supporting structures. such as poles, sides of buildings,and other structures. Attenuation to Crosstalk Ratio (ACR) is calculated as the crosstalk value (dB) minus the attenuation value (dB); typically, ACR may be given for a cable, link or channel is a key indicator of performance for U/UTP systems. 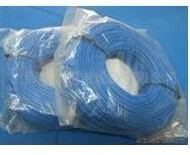 Bend Radius means a cable’s radius may be bent before the risk of breakage or an increase in attenuation, may also be called cable bend radius. 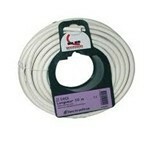 Minimum the radius of curvature of the fiber or cable that will result in excessive signal loss or breakage. Buried Cable a cable installed directly in the earth without use of underground conduit; also called “direct burial cable”. CATV see Cable Television (Community Antenna TV) the initials derive originally from Community Antenna Television; the CATV industry or its networks also are sometimes referred to as “cable” which can be confusing in discussions of cable markets. A covering over the conductor assembly that may include one or more metallic members, strength members or jackets. Cable Tray a ladder, trough, solid bottom or channel raceway intended for,but not limited to, the support of telecommunications cable. Color Code is a system for identification through use of colors; fiber specified in ANSI/TIA/ EIA-598-A “Optical Fiber Cable Color Coding”. a cable containing both fiber and copper media per NEC article 770; can also be a fiber cable with both single mode and multimode fibers. a mechanical device used to align or attach two conductors. a measure of conductor uniformity within a pair, hence the cable’s balance; the lower the unbalance, the better the cable will support balanced transmission. the shortest wavelength at which the propagation of one path of light can occur. a unit for measuring the relative strength of a signal. the uninsulated wire laid over the component(s), used as a common connection. ELFEXT (Equal Level Far EndCrosstalk) .a method to mathematically subtract out the cable’s attenuation in order to accurately compare FEXT values from onecable to another; see FEXT. this IEEE transmission protocol standard uses Carrier Sense Multiple Access/ Collision Detection (CSMA/CD)to transmit data in a network; there arethree different network to pologies thatsupport Ethernet transmissions: active ring,passive star and active star. FEXT (Far End Crosstalk) crosstalk that occurs at the end opposite the location of the disturbed pair’s receiver; Normally, FEXT is only important in short links or full duplex transmission. A 100 ohm cable with an overall foil shield and drain wire:formerly called Screened Twisted Pair (ScTP). 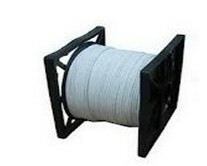 This type of cable meets specifications for general-purpose ratings (UL-1581), and is one of three types installed in premise s networks; multimode general-purpose cablesusually have loose tube construction and are suitablefor outdoor installation in campus network segments. A unit of frequency that is equal to one billion cycles per second. Whether intentional or accidental, between an electrical circuit or equipment and the earth, or to some conducting body that serves in place of the earth. Copper wire that has not been annealed after drawing; sometimes called HD wire. Horizontal Cable from ISO/IEC 11801: Connects the floor distributor to the telecommunication(s)outlet; the cabling between and including he telecommunication soutlet/connector and the horizontal cross-connect. An assembly of one or more cables, of the same or different types or categories, covered by one overall sheath. IEEE Institute for Electrical and Electronics Engineers; this refers to a standards writing organization that organizes committees and oversees the development and publication of standards, including standards for network interfaces, communications protocols, and other communication technologies. The total opposition that a circuit offers to the flow of alternating current or any other varying current at a particular frequency; it is a combination of resistance R and reactance X, measured in ohms. Indoor Cable. cable designed for useindoors; these cables typically have a flame resistance rating and are not suitable for the environmental conditions experienced by outdoor cables.Indoor /Outdoor Cable cable rated for use indoors and suitable for outdoor environmental conditions. Insertion Loss attenuation caused by insertion of a component into a transmission route/channel. The ratio of the applied voltage to the total current between two electrodes in contact with a specific insulation, usually expressed in mega ohms-M feet. A complex set of electronic components and their interconnections that are etched or imprinted on a chip. Aerial plant communications cable with a messenger support cable within the outer cable jacket, also known as figure-eight or self-support. An outer non-metallic protective covering applied over an insulated wire or cable. LAN see Local Area Network refers to an on-premises data communications network, usually for linking PCs together or linking PCs to a file server and other data processing equipment. A semi conductor light source without the coherent properties of a laser diode; typically used for less than 1 Gb/s transmission. Loop Resistance sum of conductor resistance and shield resistance (DCR). A class of cables made without halogens( i.e. chlorine and fluorine) to meet specific and strict fire safety codes. A support strand, typically constructed of steel or Kevlar cable, used for attachment of communications cable for aerial plan. A system or a service, or a set of services characterized by two-way communications, interactive services, and the ability to combine data, voice, and video. Crosstalk that occurs at the same end as the disturbed pair’s receiver; normally, this is the largest contributor of noise because the disturbing pair’s transmitted signal is strongest at this point. 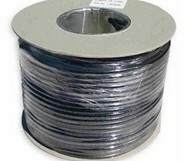 Cable designed for use outdoors; these cables are suitable for the environmental conditions experienced by outdoor cables, but do not typically have a flame resistance requirement. A cable assembly with connectors at both ends, used to join telecommunications circuits or links at the cross-connect. The crosstalk measurement of a single disturbing pair. It can be made for NEXT or FEXT. Such as splitters, couplers and connectors, which do not require external power to perform their function. 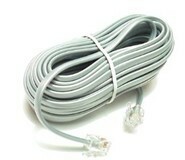 A length of cable with connectors on one or both ends to join telecommunications links. A cross-connect system of mate able connectors that facilitates administration. 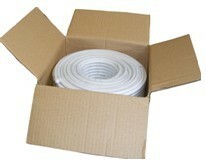 Polyvinyl Chloride (PVC) a type of plastic material used for cable jacketing; typically used in flame-retardant cables. Radio Frequency (RF). refers to analog signal processing and transmission technology for applications that include CATV; the term “RF” is sometimes used to refer to electronic or coaxial part of hybrid-fiber coax systems in CATV and other broadband applications. A measure of standing waves independent of variation of input impedance, measured with a load equal to the desired characteristicimpedance of the cable. “RG” is the military designation for “Radio Grade” coaxial cable, and ”U” stand for ”general Utility”. 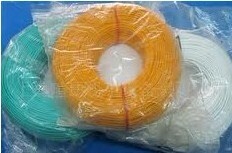 the cable connects differentfloors of multi-story buildings, it must be designed to meet safety codes that specify a low level of flammability; riser cables are also used in telephone company central offices to connect the equipment with the outside-plant cable, which enters a “vault”, which is usually below grade. Shield. a metallic layer placed around a conductor or group of conductors; may be the metallic sheath of the cable or a metallic layer inside a nonmetallic sheath. Shield Effectiveness the relative ability of a shield to screen out undesirable radiation; frequently confused with the term shield percentage. Stranded Cable multiple like units brought together; may be cable with an integral messenger support strand, see figure-eight or self-support. A measure of standing waves independent of variation of input impedance, measured with a load equal to the characteristic impedance of the cable at that frequency. Twisted Pair .any of a family of data cables with two conductors twisted together; the cabled pairs may be unshielded (U/UTP),shielded (S/FTP) or screened (F/UTP) .UHF Ultra High Frequency (300 to 3,000 MHz)U/UTP or UTP Unshielded Twisted Pair. The speed of transmission of electrical energy within a cable as compared to its speed in air; also known as NVP, or nominal velocity of propagation. A conductor, either bare or insulated. 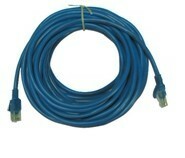 Work-Area Cable from ISO/IEC 11801: connects the telecommunications outlet to the terminal equipment. The wooden drums we used are made of fine grade wood and the drums are best suited for winding of wires & coils. These are tested in terms of durability and length holding & load taking capacity. Our company can offer all kinds of cable products with suitable wooden drums packing as per clients specific requirements. 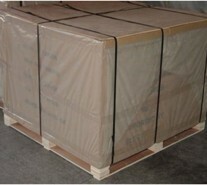 2).Outer packing :carton or pallet . 3).We offer all kind of packing style per customers' needs and requests. 2). Outer packing:carton or pallet . We offer all kind of packing style per customers' needs and requests. 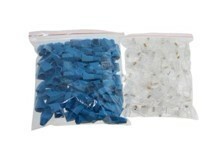 Easy pull is stronger that common carton ,the wire in this packing style is easy to carry ,pull ,and store .it often used in network cable packing. It is a reelless solution. 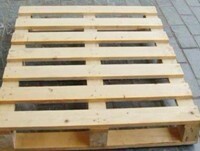 2).Easy pull can be shipped alone, or can be put on pallets. 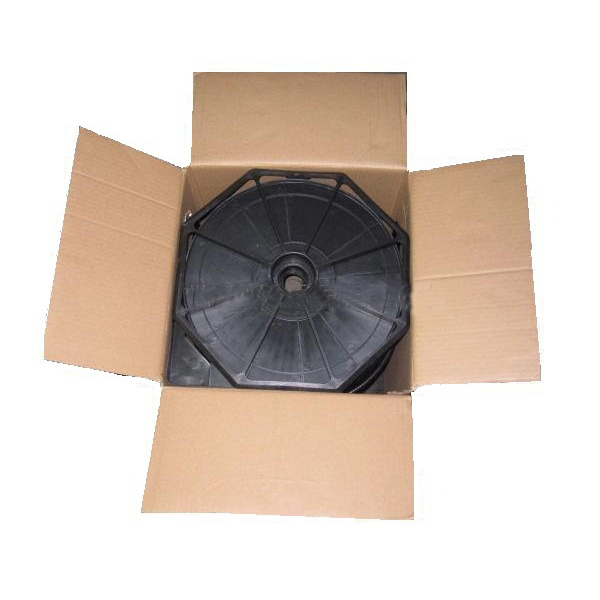 Reel in box is similar with easy pull packing ,but cable is winded in a reel.The packing cost itself may be higher than easy pull styple, but the reel in box packing is more space economical. 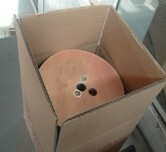 Paper reel packaging is usually used to protect the product against mechanical wear, tear, moisture and dirt. 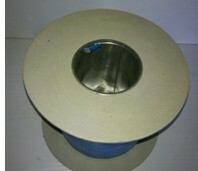 Coil in box packing is mostly used for coils within 300m. A box can load from 1 coil to more than 10 coils, and the mostly common one for bulk packing is 6 coils in 1 box, and 1 coil in 1 box for retail packing. 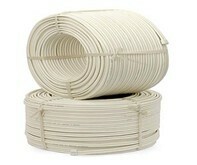 Coil in plastic bag can protect products against mechanical wear, tear, moisture and dirt. we can see the products'shape ,color ,etc directly as below. 2) Other packing available according to clients requests. The pallets are divided into composite pallet and solid wood pallet.thereinto,solid wood pallets must be fumigated before exportation They are used when you are sending a container load.many customers prefer to use pallet to ship the goods,because its safer and easier. "Retail Package" is a fully boxed item with full color retail markings & descriptions.intended for a retail store to put on display on its shelves .the retail packing we offer to our customers including poly bag ,Suction card,wooden drum, plastic steel, easy pull/reel in box etc. 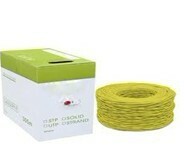 1).Can be used for short meters cable wire or cable assemblies products packing. 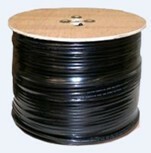 This type of cable is used in structured cabling for computer networks such as Ethernet. It is also used to carry other signals such as telephony and video. This cable is using in the user terminal equipment to the cable junction box both in the outdoor drop in and indoor usage. 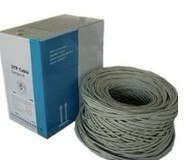 In order to satisfy different requirements, this cable is defined into STP and UTP. STP mainly used for the occasion for high requirements of electromagnetic compatibility. It can also used for internal cable of electronic equipment or as "Handset wire or telephone cord for subscribe sets and telephone handset cord or line cord. For internal wiring in class 2 circuits of electronic equipment or TV game data transmission. The cable is ideal for use in Security and alarm systems, Intercoms, Control and Communications Equipment, infra-red as well as micro wave or mixed technology systems to the switchboard. It is also suitable for low voltage applications that are power-limited. All the cables are used for speaker ranges, home theater or audio system, connecting power amplifier and broadcasting systems, and transmitting the audio signals amplified by the amplifier. switching stations, underground installation with additional protection where mechanical damage is unexpected, power supply wire, suitable for general purpose power supply cord and for internal wiring of electrical and electronic equipment for indoor small electrical instrument. UL is an independent product safety certification organization. Established in 1894, the company has its headquarters in Northbrook, Illinois. UL develops standards and test procedures for products, materials, components, assemblies, tools and equipment, chiefly dealing with product safety. UL also evaluates and certifies the efficiency of a company’s business processes through its management system registration programs. Additionally, UL analyzes drinking and other clean water samples through its drinking water laboratory in South Bend, Indiana and evaluates products for environmental sustainability through its subsidiary, UL Environment. ANSI is a private non-profit organization that oversees the development of voluntary consensus standards for products, services, processes, systems, and personnel in the United States. The organization also coordinates U.S. standards with international standards so that American products can be used worldwide. For example, standards ensure that people who own cameras can find the film they need for that camera anywhere around the globe. ANSI/TIA/EIA 568 Commercial Building telecommunications Standard; it gives guidelines on implementing structured cabling within a building; it also defines the minimum mechanical and transmission performance criteria for U/UTP, F/UTP, S/FTP, coax, and fiber optic cabling. Refers to a standards organization that organizes committees and oversees the development and publication of standards,including standards for network interfaces,communication protocols, and other communication technologies.